Improving operational efficiency is one of the biggest benefits to energy benchmarking and building automation tools. But how do you bring all these different tools together to drive meaningful action in your buildings? 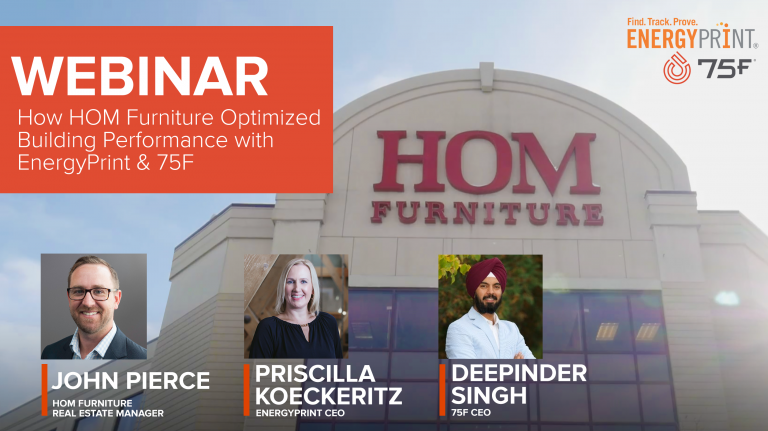 In this webinar replay, we’ll show you how HOM Furniture, one of the nation’s largest furniture retailers, harnessed the power of EnergyPrint and 75F to implement affordable building automation solutions to improve efficiency and prove powerful savings results for one of their retail locations.